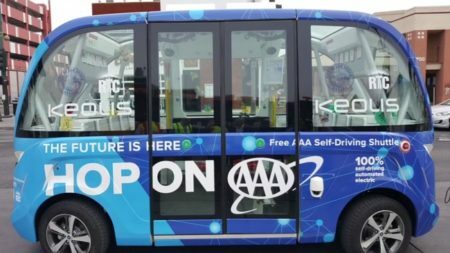 METRO’s General Mobility program helps fund transportation projects in areas that don’t have bus service. One resident started looking through public records to find out how exactly her city is spending the money. We visited El Lago City Hall after hearing concerns about the way money was being handled from METRO’s General Mobility Program. 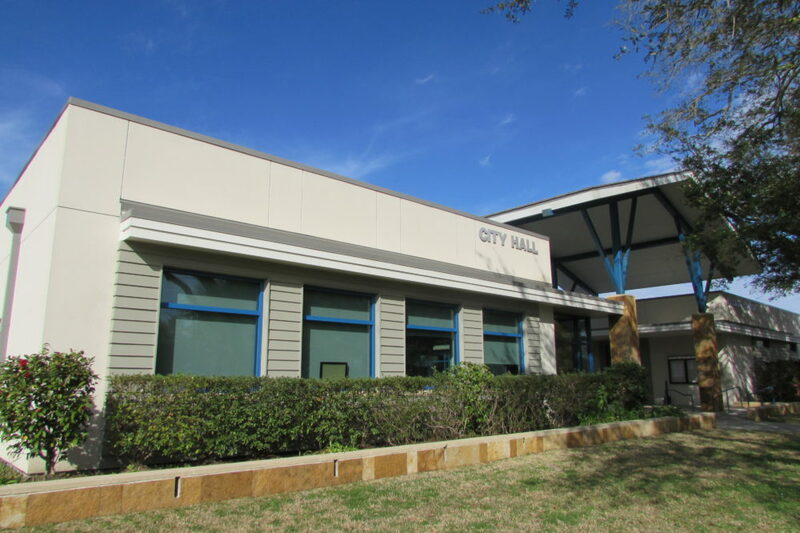 We recently heard from a concerned citizen in the town of El Lago, a small community on the shores of Clear Lake, where residents enjoy waterfront views and quiet tree-lined streets. Katie Richey said she became worried back in December when a heavy rainstorm dumped several inches of water in front of her house. But El Lago doesn’t have that big of a budget. Richey said her concerns have now led her to run for city council. “I don’t know how we’re going to pay for a substantial amount of work that needs to be done,” said Richey. The community does get funds that are supposed to be used for transportation-related projects — and that’s from METRO’s General Mobility program. 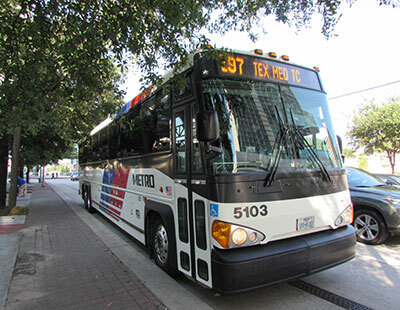 The transit agency is funded by a one-cent sales tax and the program returns a portion of revenues to Harris County, the City of Houston and 14 other municipalities where that tax is collected. METRO said the program has contributed about $2 billion dollars for transportation projects since it first started in 1988. Voters renewed the program in 2012. 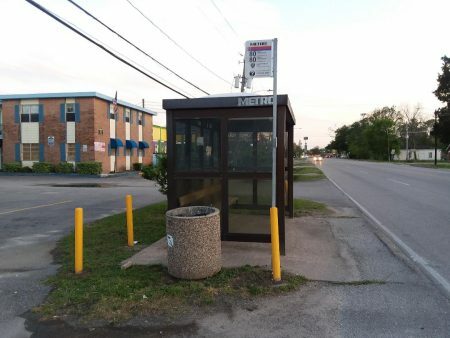 El Lago is one of the places inside the METRO service area that collects the tax, but doesn’t have bus service. It can then use General Mobility revenues for things like street repairs and drainage improvements. The town gets about $132,000 a year in General Mobility funds. To learn where the money was going, Richey asked for public records using the Freedom of Information Act. She wanted to know why El Lago wasn’t providing METRO a yearly accounting of projects as specified by a 1999 agreement. “Unfortunately these documents revealed more questions than answers for me,” Richey told News 88.7. To see how other communities were handling their General Mobility money, we reached out to Mayor Jon Keeney in nearby Taylor Lake Village. Keeney said they get close to the same amount of General Mobility funds as El Lago. “It’s placed in a separate fund away from general revenue in what we call a street maintenance fund and it is a special use fund,” said Keeney. And while they do keep that money separate, Keeney said they haven’t been filing yearly reports with METRO. 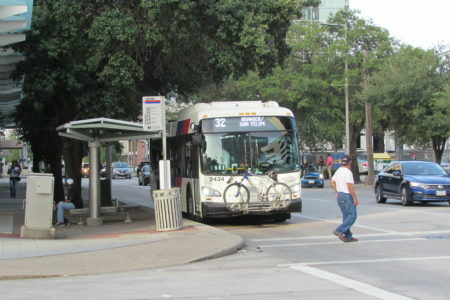 So what is El Lago doing with its General Mobility funds? The city’s website shows money coming in from General Mobility, but for a while now it’s been going into El Lago’s general fund. And according to Richey’s FOIA request, there was no record of El Lago filing any reports with METRO accounting for the spending. El Lago Mayor John Skelton acknowledged they should start handing those funds differently. “Money set aside for a specific purpose needs to be accounted for separately. It shouldn’t be going into a general fund,” said Skelton. So what are cities supposed to do with their General Mobility funds? METRO CEO Tom Lambert said they’ve been working under some different agreements since the program was renewed and right now they’re not mandating reports. But things could change now that METRO is working on a system-wide audit plan, which Lambert said does includes the General Mobility program. “And it’s also looking at what are Metro’s roles and responsibilities under the general mobility agreements, what’s the role and responsibilities of our partners, and if there are things we have not done in compliance to those agreements, the steps we need to take going forward,” said Lambert. Lambert also said it’s important for cities to be upfront with their residents as to how General Mobility funds are being used. Back in El Lago, Mayor Skelton said he knows citizens are keeping an eye on how they do things. “So the city’s in the process of putting together a five-year plan, as far as what we can do with the money we receive each year,” said Skelton. METRO said when it completes its audit, they hope to issue clear guidelines to member cities about handling the General Mobility funds.